Silver Spring residents have something to smile about. The highly anticipated Veterans Plaza Ice Skating Rink has finally opened in downtown Silver Spring Sunday, attracting more than 200 skaters from around the region on its first day. The rink was set to open weeks ago, but plans were delayed when negotiations fell through. Tristate Ice Management finally signed the contract with the county last week, and it took the company one week to install the ice and get the pavilion ready to go. Many skaters said it took too long to get the rink up and running. But too other skaters are just happy they can spin around before Christmas. The rink was filled skaters dressed in their gloves, hats and scarves Thursday evening. 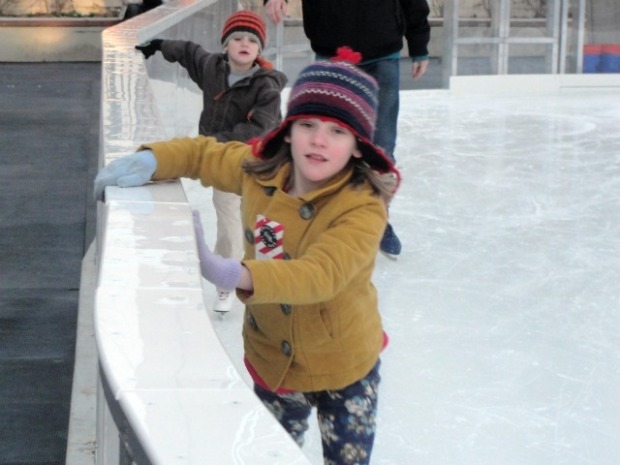 "I think it’s terrific, fantastic, and beautiful that the rink is located right here in downtown," said Maria Markham of Takoma Park as she helped her daughter lace up her ice skates. "It’s convenient, and has the city feeling, and it’s a place for kids and grownups to enjoy themselves." Manager Bambi Turner says she hopes skaters will get a chance to enjoy the beautiful scenery of the rink. "We're all very excited for the opening of this new rink, and the staff is more than excited to see everyone stop through," she said. 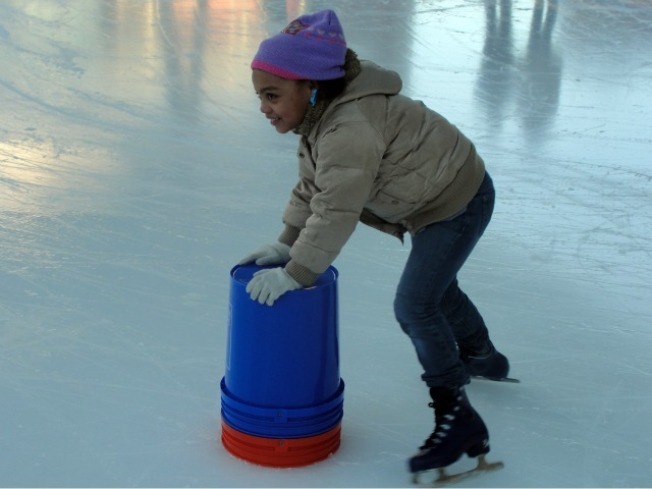 The rink is located at 8523 Fenton St., Silver Spring, Md. You can’t miss it -- it's located in front of the Veterans Plaza building, and across the street from Regal Majestic movie theaters. Check the official website for hours of operation. The rink will be open through March 13.